Most products on the adult wheelchair and travel chair market are uncomfortable and of low quality. 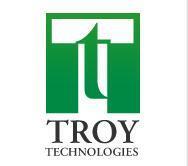 Troy Technologies has set out to offer their customers something better. Troy Technologies specializes in travel wheelchairs and manufactures a wide variety of high quality travel wheelchairs and accessories to suit any customer’s needs and budget. Every product Troy Technologies offers is thoroughly tested to ensure optimum comfort, performance, safety, and reliability. Troy Technologies are the travel wheelchair experts. All of their travel wheelchairs and other products are guaranteed for life. Worldwide shipping of Troy Technologies’ products is available.